Originally built in 1886 to operate a dairy farm, The White Barn is equally as gorgeous as it is charming. 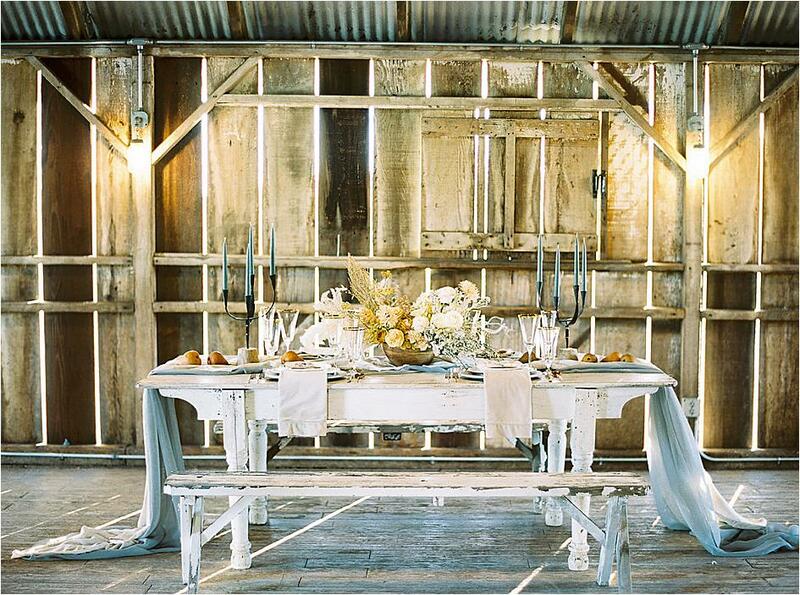 The venue remains a working farm in the heart of the Edna Valley and is rich with character and beauty. 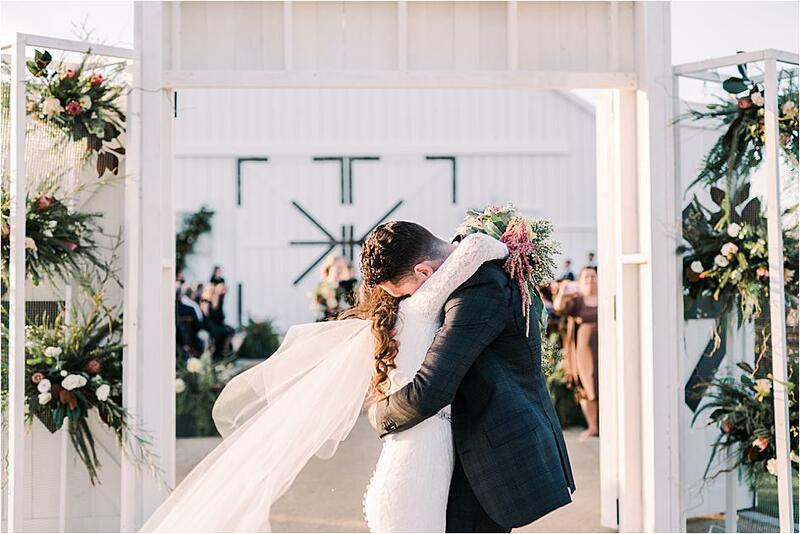 After undergoing a meticulous renovation, the beautiful white barn now boasts impeccable concrete floors and a chic space or backdrop for your wedding festivities. 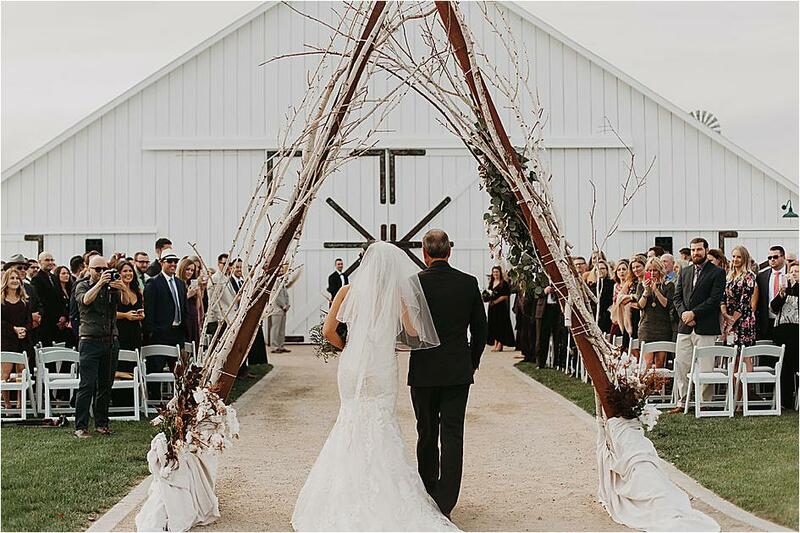 Host your ceremony outside in front of the barn’s beautiful white doors or opt for a rustic ceremony inside the sprawling 5,500+ square foot space itself, which flaunts beautiful chandeliers, string lights and curtain rods for dramatic draping, should you choose. 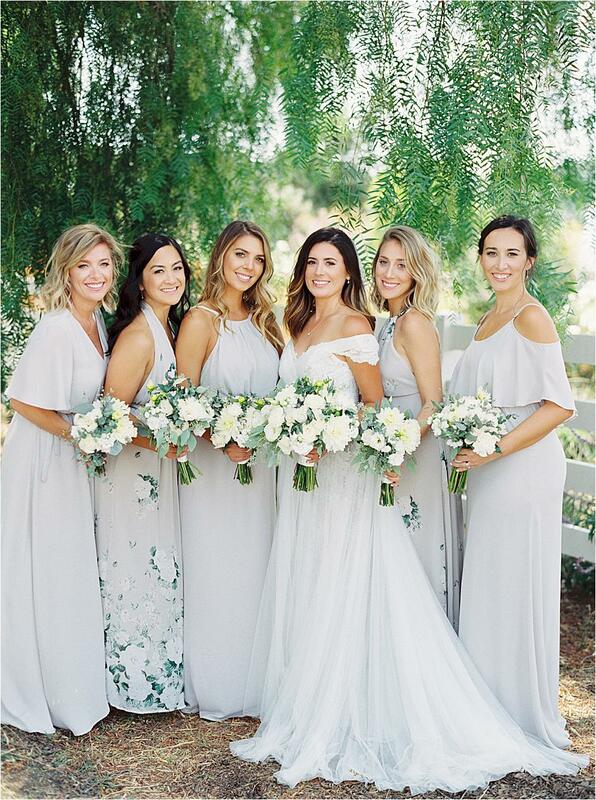 Among various other stunning spaces, couples can celebrate their reception in the Courtyard, a gorgeous space with romantic lantern lighting, built-in cocktail tables, wine barrels and a cozy firepit. Perfect for food trucks, yard games and more, the Courtyard can bring your wildest reception dreams to fruition. 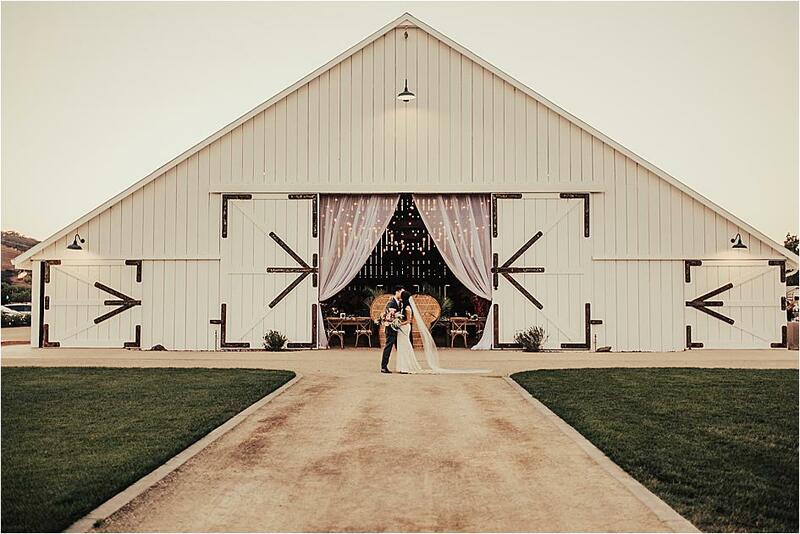 The White Barn even provides an on-site venue manager and a two-night stay at the Farm House for your wedding weekend! For your wedding ceremony, pick from one of four beautiful spots on the property. 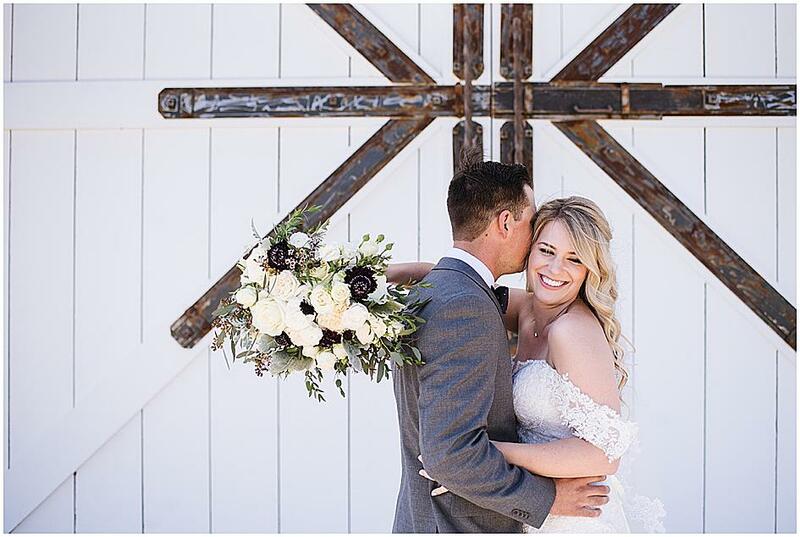 The rustic barn doors provide a simply timless backdrop for your outdoor ceremony surrounded by family and friends. Guests will be seated on the manicured lawn and watch as you recite your vows. For a seamless transition, the doors can open right after the ceremony and lead guests to an indoor reception space. 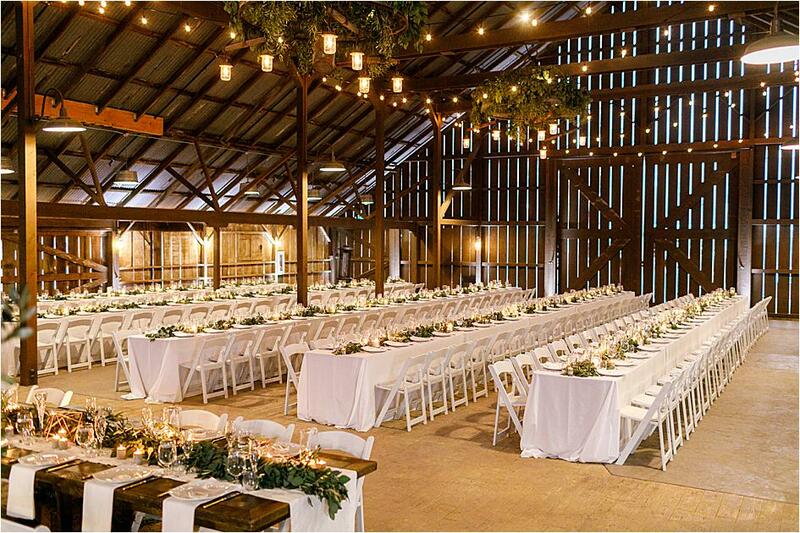 The White Barn itself can accommodate up to 300 guests for a sentimental ceremony. 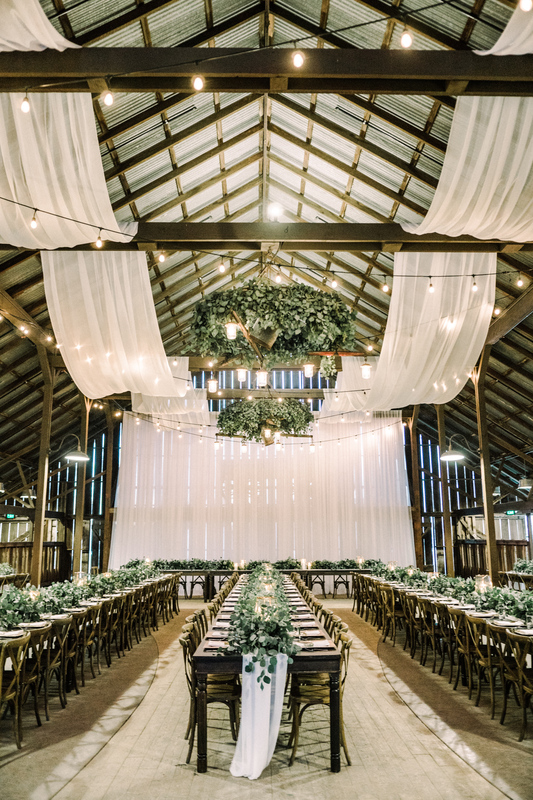 The gorgeous and historic space makes for a equally rustic and whimsically spot to say your "I do's." String lights, bucket lights and gorgeous candeliers provide romantic lighting for your celebration, whether you choose to host your ceremony or reception in this lovely space. If you dream of a scenic wedding affair with breathtaking views, the Santa Lucia Lawn is perfect for you. This dreamy lawn can accommodate up to 500 seated guests and provides couples with a blank slate to design the perfect SoCal ceremony. The White Barn's spacious grassy lawns are another ideal space for a nature-filled ceremony. 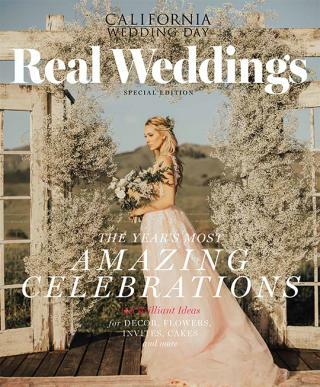 The beautiful rolling hills and pretty pepper trees provide an amazing backdrop for your vows, while the expansive venue allows you to create the event of your dreams. The cozy farmhouse, located conveniently close to downtown San Luis Opisbo, offers new furnishings, appliances, laundry and Wi-Fi. The charming house showcases views of the pretty vineyards and farmland. The farmhouse is yours for two nights during your wedding weekend, the perfect space to reminisce on your lovely wedding and relax after your celebration.